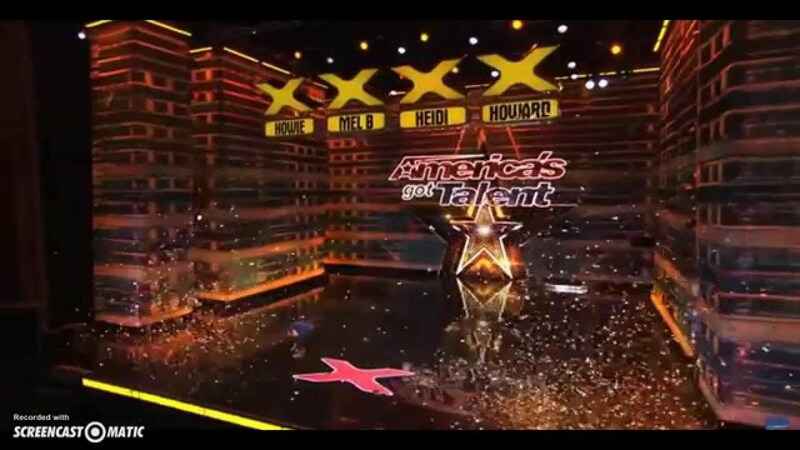 America’s Got Talent contacted me in July 2017 to ask if I’d like to perform Fire Cyr Wheel on their show. As an ex Cirque du Soleil Artist and one of only 3 Fire Cyr Wheel Artists in the World, it’s no wonder America’s Got Talent was eager to have my Fire Cyr Wheel Act on Season 13 of AGT. 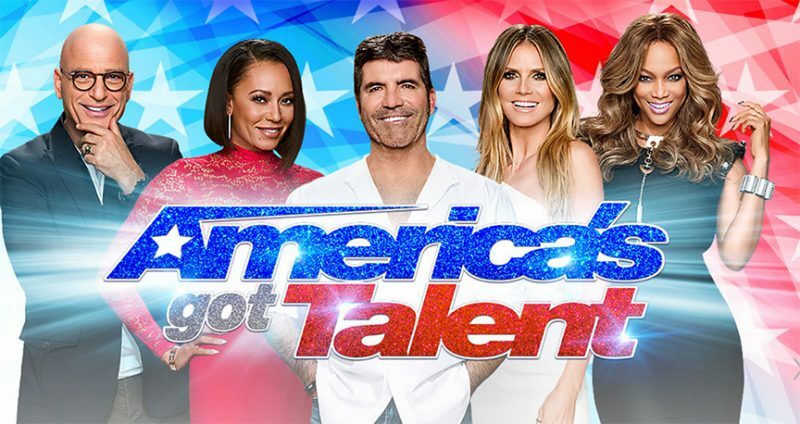 Disclaimer: The following account of my experience on the USGT show is not to be confused with the AGT (America’s Got Talent) Show. Likewise, any mention of MBC is not to be confused with the US Based Television Network NBC. Furthermore, any images or videos used to illustrate this fictional story are not to be associated with their source. Over the years I’ve been solicited to participate on many of these “Got Talent” (USA, Russia, France, Egypt, India…) and I’d always refused. As someone who hasn’t watched tv for two decades I’d only caught glimpses of these shows but it seemed to me that they all focused more on fabricating drama than the actual art. So why did I suddenly change my mind and say “yes”? First, for free trips back home. I’ve been missing California and the idea of having multiple free trips to visit friends and family (and surf/ skimboard) was attractive. Second, the idea of the competition appealed to me. I was assured by USGT that it was a fair competition and I liked the challenge of doing something amazing in 90-120 seconds. Third, at this point in my career I have so many tricks up my sleeve and the idea of being able to share them all was appealing. 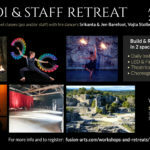 USGT was open to having me perform solo, duo or with other Fusion Arts Artists and I was excited to share our Fire Dance, Light Dance and Cyr Wheel Acts with the American Public. The first part of the process is a couple of phone interviews in which USGT gathered various info about me and my life story: Growing up on the California Central Coast, discovering fire dancing, running away with the Cirque du Soleil, living in Macau, meeting and marrying my lovely performance partner Jen, and the current juggling act of living as a Freelance Artist and father in the South of France. By the second phone call it was painfully clear that USGT had decided to omit a large part of my story in favor of creating a persona based upon my early life experiences. I had shared that I grew up going to school in an alternative (yoga) community which was centered around the teachings of a silent Indian Guru. Baba Hari Das gave me the name Srikanta when I was born and introduced me to the staff when I was 9. At the age of 19 I began applying my prior knowledge of Indian Martial Arts with the Staff and mixing it with dance, acrobatics and my own natural way of moving. For USGT, that is where the story ended. During the second interview they weren’t interested in my experiences with the Cirque du Soleil, my life as a Freelance Artist or life in France. Fast forward to March 2018 and I’m on my way to perform for USGT in LA between performing Fusion Arts Group Fire Dance Show in Marrakesh and my Classic Cyr Wheel Act in Paris. The day of the filming was a marathon. USGT requires contestants to arrive in the morning and to wait all day, in costume until their segment is called for filming. During this time, USGT films various B roll sequences with the contestants backstage. 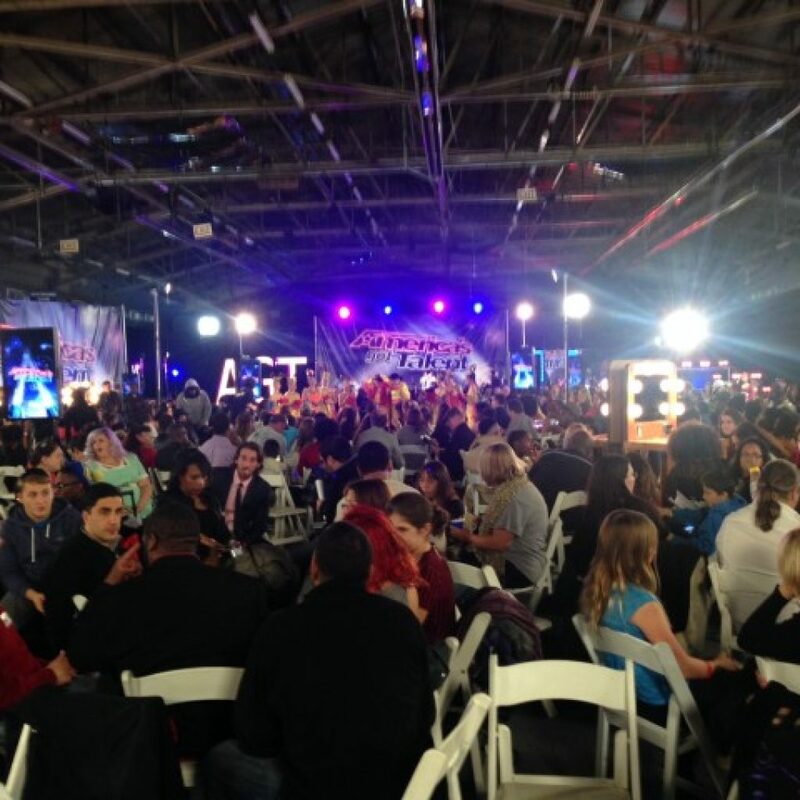 They set up multiple scenarios in which contestants are asked to pretend to be meeting another contestant, or pretend to be warming up, or pretend to be waiting in the waiting room. Each contestant is also interviewed by USGT. All of these dialogues are fabricated. What you don’t see on tv are the coaches who constantly interrupt, to ask you to say what they want you to say or focus on whatever it is which matches the persona they’ve created for you. In the interview and dialogues with other contestants, as soon as I’d talk about my life as a professional Artist or my 3 years and 700+ shows with the Cirque du Soleil they would cut me off saying “Talk about growing up in a yoga cult and your love for Nature”. There were certain lines they would try to feed me again and again but I had to refuse as it felt disingenuous. The best such moment was when they asked me to pretend to be focusing myself in the moments before stepping on stage. The nice lady looked at her notes for who I was supposed to be and said…”OK do whatever you do before you go onstage…hmmm, let me see (reading notes)…oh yes- meditate”. It’s a lonely moment when you are the only one laughing out loud at a joke none of the producers or people behind the cameras get or think is funny. I tried to explain that I don’t meditate before going onstage but this just seemed to confuse them. In the end I tried to appease them with some improvised tai chi/ wushu warm ups, but I’m afraid it may not have met the “yoga flame” persona they’d created for me. When they took me close to the stage to film a b-roll segment, I was alarmed by the noise & commotion coming from the audience. People were out of their seats and seemed extremely agitated. It felt like a riot but my friends who came to see the show later explained to me how it works. In fact, USGT hires a bunch of animators who draw reactions from the public. They even offer prizes and monetary rewards for people in the audience to do ridiculous things. All of the fabrication and fake made for a strange 14 hour wait prior to stepping onstage. I tried to strike up a real conversation with someone else in the waiting room but I discovered that the majority of the people you see in that room are not waiting at all. They are paid to be there so that the room looks full. My moment of glory came at last and I performed a 1.5 minute version of my Fire Cyr Wheel Act. All 4 Judges voted yes. They praised my grace and musicality, with one Judge saying “this is exactly what this show needs”. I went back to my hotel room that night, happy to know I’d be coming back home to California again soon. I flew off to my next shows in Paris and made it back home to Montpellier. Then, as I awaited the confirmation for my next travel dates, things began to smell fishy. Although my assigned producer at USGT had confirmed my LED Cyr Wheel Act for round two, he wouldn’t confirm my dates. He wrote it wasn’t sure that MBC would place me even if the judges had voted YES. This came as a surprise to me. Before agreeing to participate, I had been assured by this same USGT producer that the competition was fair. “It is in the hands of the judges” he wrote. But ultimately MBC chooses who stays and who goes. Sure enough, just 3 days before I thought I’d be flying back to LA, I received an email saying that MBC had decided not to move forward with me as a contestant on the show. It was frustrating and a huge disappointment. I never would have participated if I’d know the competition was rigged. Meanwhile they’ve got clips of my interview and act in the commercial for this season’s show. I can’t say that I feel good about having volunteered my time and money to do this unpaid promo for MBC. Of course they don’t tell you why you weren’t chosen to continue but I have my theories. First and foremost, I think my unwillingness to play the cliché persona they’d created for me must have been paramount in the eyes of those who’s job it is to create a drama of the show. The Cult-Grown Half-Indian Half- Californian Fire-Guru was not to be. It’s funny because if they had simply told me up front “OK, Sri, this is the role we want you to play on the show” I likely would have accepted the part and had fun with it. But as they chose instead to try to manipulate me on the sly, I rebelled against it. Lesson: Play the game or you’re out. It’s sad to imagine (as MBC must) that the American Public is so simple as to only be able to relate to stereotypical personalities on television. I wonder if this is MBC’s assessment or the truth. What is the point of a show about Art if the Artists identities are deliberately obscured and their talents hidden by the camera’s constant panning to Judge and Audience reactions? I admit that as someone who hasn’t watched tv for two decades I am hopelessly out of touch with tv culture. As an expat of more than 10 years I may also be out of touch with mainstream American Culture. But I do believe that a Talent Show which reveals Artists for who they are, and showcases their talents could work without any need for fabricated dramas. It’s my conviction that people are curious and like to discover new things. So why does USGT keep feeding their viewers fabricated personalities based on stereotypes? 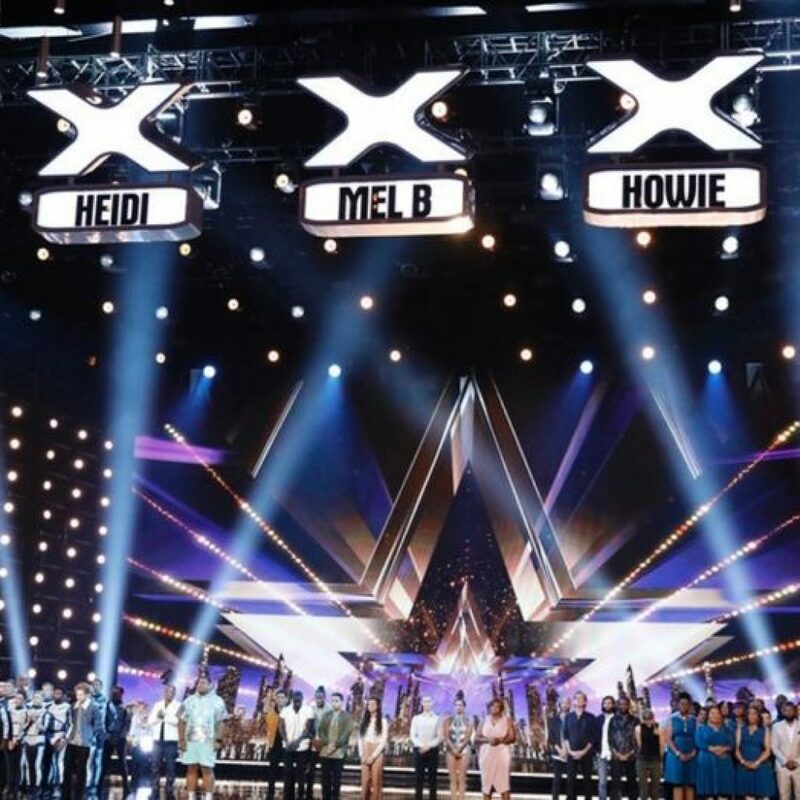 In my opinion, this is a lack of leadership on the part of the direction of these “Got Talent Shows”. They fall back on the familiar because they know it works- its safe and it sells. For all their talk of inspiring people, money is the bottom line and they are either too afraid or too greedy to offer anything else to the American Public.